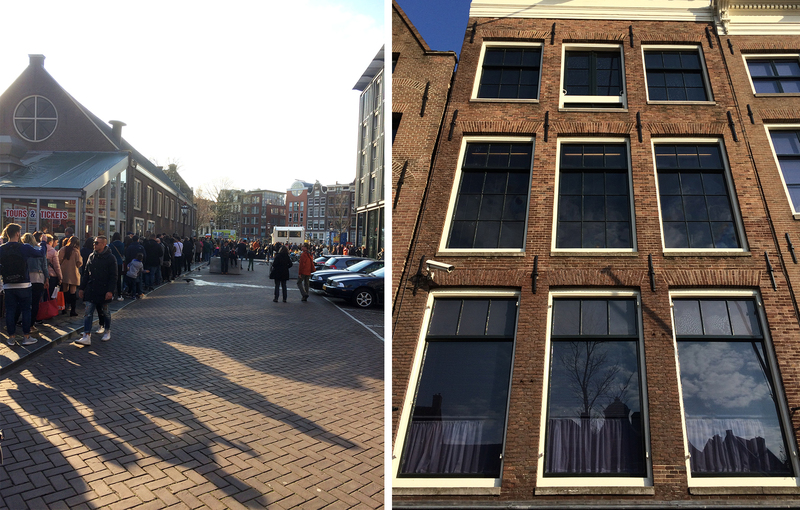 Surprising to some, the Anne Frank House is one of the most popular attractions in Amsterdam. Among the charming canal houses in the city’s western Jordaan neighborhood, this sobering museum is discretely tucked away at Prinsengracht 263. The only dead giveaway of its popularity is the massive line of people that often warps around the block, stretching as far as the nearby Westerkerk. So if you plan to visit (which I hope you do), you’ll definitely want to buy tickets online in advance. 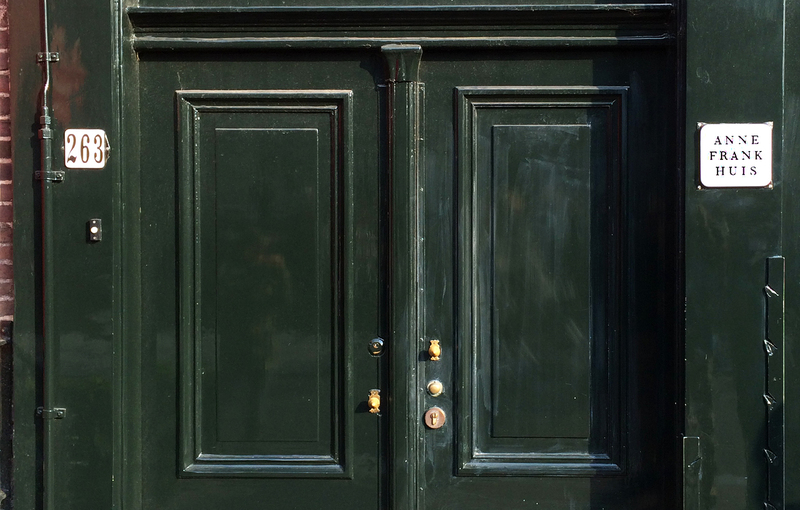 Not only will you increase your odds of actually getting inside the Anne Frank House, it’s practically mandatory since a limited number of people are allowed inside at any given time. With our timed tickets, we were able to walk right in and start our tour without any wait. The exhibit brings to life the story of 13-year-old Anne Frank and her family who went into in hiding after the Nazis occupied Amsterdam. Anne chronicled their nearly 2-year experience in her diaries, quotes form which pepper the walls around you as you make your way through the exhibit. As a visitor you actually climb through the bookcase that concealed the entrance to the secret annex in the back of the house. Climbing the narrow stairs to the upper floors, you’ll get a sense of how 8 people in total lived in secrecy and near silence from 1942 to 1944. 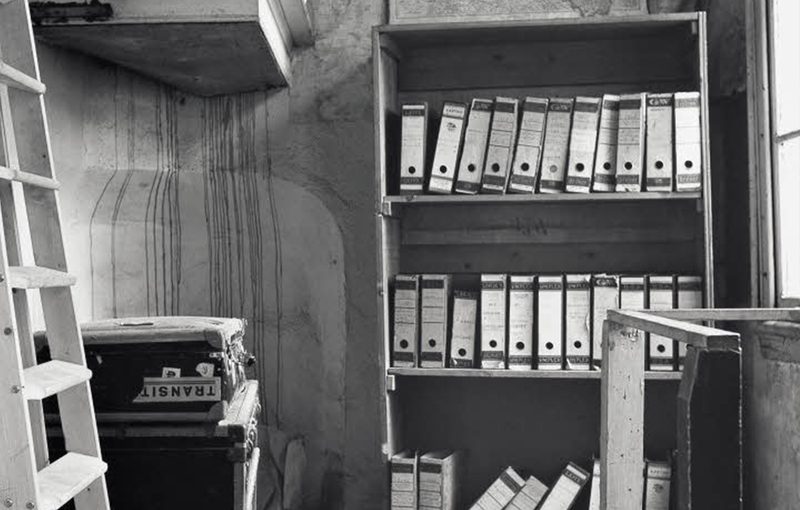 Photographs and artifacts show how they passed their time, from the food they ate to the games they played, and the precautions they had to take to prevent being found. You’ll also get a sense of Anne’s love for Hollywood from the magazine clippings that adorned her bedroom walls, and how on some days she yearned for nothing more than sunlight and fresh air. Their story took a tragic turn as the family was arrested and sent to concentration camps. Only Anne’s father Otto Frank survived after the war, and vowed to publish his daughter’s diary so that their story would live on. It took about an hour total to make our way through the entire museum, which moves at a relatively fast pace allowing just enough time to take in the contents of each room. 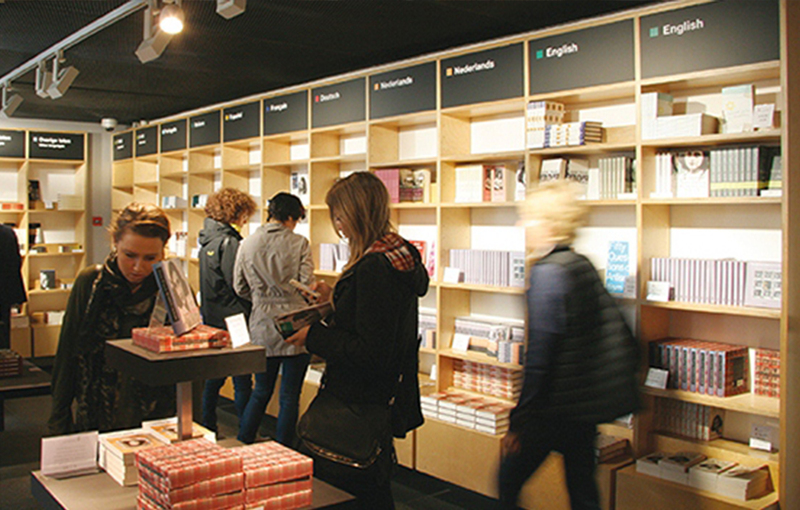 Fittingly, the tour ends in the museum’s bookshop where copies of The Diary of Anne Frank can be purchased in countless languages in hopes that we can learn from the past and perhaps even influence the future. When I first visited Amsterdam, a trip to the Anne Frank House was at the top of my list of things to do having read her diary several years ago. I felt the museum did a good job of communicating the hardships of the family and their tragic fate, though it is undoubtedly a popular attraction and sometimes large crowds can be off-putting. I agree with you Rosie, I would have liked more time to stop and absorb each room. Rather it often felt like we were being rushed or “moved along” with the crowd. That’s the only downside of popular museums for those of us who want more time to reflect on what we’re seeing. I had a similar issue when I visited the memorial museum in Hiroshima this summer – it was chaotically busy, so it felt like you couldn’t stop and read things as the crowd was like a tidal wave moving towards the exit. I went there a few years ago when my daughter was young. A very thought provoking experience. For sure! I really didn’t know what to expect and was very glad for the experience.